What is the state of environmental governance transparency? Around 50% of the records requested from the Department of Environmental Affairs during 2015 were supplied to the Centre for Environmental Rights. The rest did not exist or were not under control of the Department. The Department of Mineral Resources released only 12.5% of requested records. The Centre for Environmental Rights (CER) has released its fifth report on access to environmental information from South African government departments and private companies. 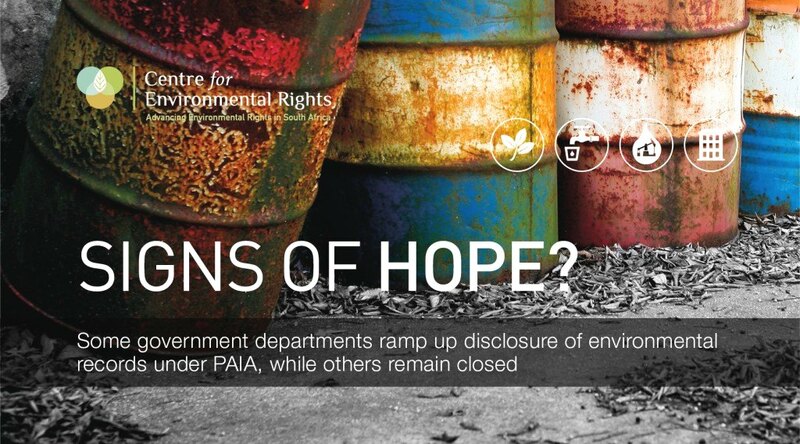 Over the past five and a half years, the CER has submitted almost 300 requests for environmental records held by government and companies using the Promotion of Access to Information Act (PAIA) on behalf of communities and civil society organisations across the country. In 2015, government departments released 51.9% of environmental records requested by the CER (down from 55.3% in 2014). Companies are releasing a far greater percentage of environmental records (66.7% in 2015) than in 2010 (26.7%). The Department of Environmental Affairs (DEA) released 50% of records requested by the CER in 2015 (the reason that other requests were refused was because the records did not exist, or were not under the control of the DEA). The Department of Water & Sanitation (DWS) released 71.4% of records requested by the CER in 2015. The Department of Mineral Resources (DMR) released only 12.5% of records requested by the CER in 2015. With the exception of the DMR, the CER has witnessed a slow but encouraging trend towards greater reactive disclosure of information by both authorities and private companies. The CER is particularly encouraged by commitments towards greater voluntary disclosure by the DEA, and significantly improved disclosure on the part of the DWS in the past 12 months. The greater disclosure of records by the DWS in 2015 is particularly important in the context of the severe drought currently affecting large parts of South Africa. In times of crisis, it is more important than ever that government operates openly and transparently. While secrecy fosters suspicion and conflict, transparency facilitates open dialogue amongst stakeholders, which can lead to collaborative approaches to resolving challenges. It is with a view to commencing the process of a collaborative approach to resolution of the country’s multiple water quantity and quality challenges that the CER last week submitted a PAIA request for the overdue release of the DWS’s Blue and Green Drop reports for 2012/2013 and 2013/2014. The Blue and Green Drop reports assess the performance of municipalities in maintaining good drinking and waste water standards respectively, and the DWS has delayed its release despite an undertaking to do so in September 2015. Given the discontent and hardship prevailing in the mining industry, it is disappointing in the extreme to see the Department of Mineral Resources still failing miserably not only to comply with legal obligations under PAIA, but also to show any indication of making vital records easily and voluntarily available to the public, like environmental management programmes or social and labour plans. The CER continues to campaign for greater voluntary, proactive disclosure of information by all parties holding environmental records. Without access to environmental information citizens and communities cannot exercise their environmental right or work together with government to collaboratively solve environmental problems which affect us all. The Centre for Environmental Rights (CER) is a non-profit environmental rights law clinic that helps communities to defend their Constitutional right to a healthy environment. 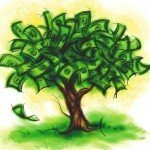 It achieves this by advocating and litigating for transparency, accountability and compliance with environmental laws. 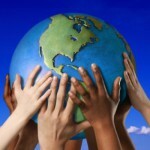 For more about the CER and its programmes, visit www.cer.org.za, like them on Facebook, or follow them on Twitter. In response to a parliamentary question and answer session in May 2015, the Minister of Water and Sanitation indicated that the Blue and Green Drop reports for 2012/2013 had been released to individual municipalities, but not to the public. The DWS issued a media release in August 2015 indicating that work on the 2013/14 Blue and Green Drop reports had been completed and that the reports would be published by the end of September 2015. To date however, neither report has been made public.